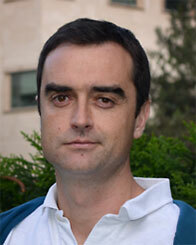 Jose Duarte is an Assistant Project Scientist at the RCSB Protein Data Bank in SDSC. He received an MSc degree in Physics from Universidad Complutense (Madrid) and later an MSc in Bioinformatics from Birkbeck College, University of London. He further pursued a PhD in Structural Bioinformatics at the University of Zurich under the supervision of Dr. Guido Capitani from the Paul Scherrer Institute in Switzerland. He worked as a software engineer at the Max Planck Institute for Molecular Genetics in Berlin and later as a postdoc at the ETH Zurich. He joined the RCSB Protein Data Bank in 2015 where he acts as the Scientific Team Lead for the San Diego site of the RCSB PDB. His research is centered around structural bioinformatics algorithms, with a focus on protein quaternary structure analysis and evolution. RCSB Protein Data Bank: The single worldwide repository of information about the 3D structures of large biological molecules, including proteins and nucleic acids.